There's a new recall over lead concerns for water bottles. The Consumer Product Safety Commission says there are high levels of lead on the outside of insulated water bottles from GSI Outdoors. They were sold exclusively at L.L. Bean in five different prints. The CPSC says, "The lead solder at the exterior base of the bottle contains high levels of lead. Lead is toxic if ingested by young children and can cause adverse health issues." The bottles are 13.5 ounces capacity with the following color prints: Dino Bones, Flower Power, Orange Grid camo, Purple Tie Dye Butterfly and Robo Shark. The item identification number 297684 is printed on a sticker on the bottom of the bottle. Also printed on the sticker are "PO#844" and "BB2D2-LLB-R45-0413." 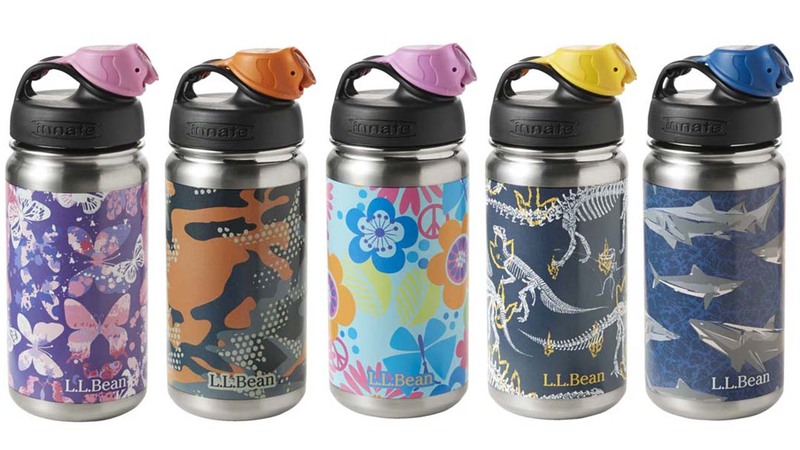 The CPSC says consumers should immediately stop using the recalled water bottles and contact L.L.Bean for a full refund. Sold exclusively at L.L.Bean retail stores, online at www.llbean.com and in L.L.Bean catalogues from July 2015 through May 2016 for about $20. For more information and photos of the affected water bottles, go to the CPSC website.